A physician-led, physician governed network comprised of like-minded, high-performing physicians that share a passion for improving quality of care and creating a better patient experience. Arizona Care Network is a partnership between Dignity Health and Tenet Health Systems, (Abrazo Health). ACN also includes Phoenix Children’s Hospital, the most comprehensive pediatric care in the state and one of the largest children’s hospitals in the country. ACN’s physician community is composed of 640 Primary Care Physicians and 1800 Specialist Physicians. Additionally, 145 facilities make up the continuum of care for patients. The Arizona Foundation is an independent, not-for-profit Preferred Provider Organization. Originally established by physician members of the Maricopa County Medical Society in 1969 as an alternative to health maintenance organizations, we have grown into Arizona’s largest statewide, independent network by providing highly-accessible, quality care. We focus on containing healthcare costs for employer groups by negotiating and contracting directly with providers to capture savings, in addition to our comprehensive medical management and utilization review. We work directly with brokers, consultants, general agents, third party administrators, and insurance companies to provide Arizonans the freedom of choice by offering and/or endorsing a variety of healthcare solutions. Our network currently includes more than 14,000 professional providers in over 39,000 locations and is contracted with 78 hospitals throughout Arizona including outpatient surgery centers, dialysis clinics/centers, convenience clinics, urgent care centers and numerous other specialty facilities. The Arizona Foundation, in conjunction with our strategic business partner, American Health Holding, also offers a wellness program and a comprehensive package of medical management services that include: Utilization, Case and Disease Management, 24-hour Nurse Care Line and Maternity Management services. Many of the programs now recognized as standard benchmarks for managed healthcare plans across America were pioneered by the Arizona Foundation. 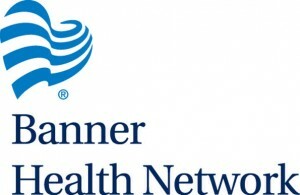 Banner Health Network (BHN) is an accountable care organization that joins Arizona’s largest health care provider, Banner Health, and an extensive network of primary care and specialty physicians to provide Arizona’s most comprehensive health care solutions. Through BHN payers and providers are coming together to work collaboratively to keep members in optimal health, while reducing costs. Health care can be affordable with a design that engages the physician, patient and payer in seeking the best care and health outcomes. Blue Cross Blue Shield of Arizona is a local, independent and not-for-profit health insurance company headquartered in Phoenix. Founded in 1939, the company has more than 1,500 dedicated employees throughout its Phoenix, Tucson, Tempe and Flagstaff offices. Providing health insurance products, services and networks to more than 1 million Arizonans, Blue Cross Blue Shield of Arizona offers various health plans for individuals, families, and small and large businesses. Blue Cross Blue Shield of Arizona also offers Medicare supplement plans to individuals over age 65. Blue Cross Blue Shield of Arizona helps to fulfill its mission of improving the quality of life of Arizonans by delivering a variety of health insurance products and services to meet the diverse needs of individuals, families, and small and large businesses as well as providing information and tools to help individuals make better health decisions. Blue Cross Blue Shield of Arizona is actively involved in the community and proudly supports hundreds of worthwhile charities and organizations through volunteering and contributions. BUCKAZ Communications is a world class business communications company. Since 1998 we have provided nationwide business communications services to help our clients reach their customers. We are your partner in the visual communications business. eviCore healthcare began in 1992 as MedSolutions, an owner/operator of diagnostic imaging centers. The company quickly saw an increasing need in the managed care industry for intensely focused radiology benefits management. In 1997, we sold our diagnostic imaging centers and MedSolutions set out to focus solely on managing the cost of imaging and helped pioneer the new industry of radiology benefits management. We soon established ourselves as the industry leader, helping healthcare payers control the soaring costs in radiology. In 2014, MedSolutions merged with CareCore National, to create the industry’s clear leader in comprehensive Specialty Benefits Management. Today, CareCore | MedSolutionsbecome has become eviCore healthcare. The company is taking the clinical knowledge, proprietary technology, and forward thinking it perfected in radiology management and applied it to other areas of healthcare where there is an opportunity for significant improvement, both in quality of care and in cost savings to health plans. eviCore healthcare will continue to evolve to meet the challenges of the healthcare industry through Intelligent Cost Management, developing and introducing new services that extend beyond utilization management to capture maximum savings, reduce overall treatment costs, and ensure diagnostic accuracy. Health Choice Preferred is a physician-led and professionally managed accountable care organization focused on delivering value to patients and payors by providing high-quality integrated healthcare services. Developing population-specific outreach campaigns to promote preventative care and wellness efforts. Humana is a leading health and well-being company focused on making it easy for people to achieve their best health with clinical excellence through coordinated care. The company’s strategy integrates care delivery, the member experience, and clinical and consumer insights to encourage engagement, behavior change, proactive clinical outreach and wellness for the millions of people we serve across the country. To learn more visit www.Humana.com. Mercy Care Plan is a not-for-profit health plan serving AHCCCS members (Medicaid acute, DDD and long-term care). Mercy Care Advantage is a health plan for people with special needs who qualify for AHCCCS and Medicare. We have been a part of the Arizona community since 1985. We offer high-quality health care and support recovery and resiliency. We deliver holistic, individualized care solutions. We are proud to oversee service delivery for our members’ medical, long-term care, developmental and behavioral health needs. Our strong provider partnerships ensure delivery of quality, coordinated health care for our members. We live and work in Arizona. By partnering with more than 20 local non-profits, we are always supporting our community and our members. Our parent hospitals include St. Joseph’s, Phoenix Children’s, Barrow Neurological Institute, Chandler Regional, Mercy Gilbert and St. Josephs, St. Mary’s and Holy Cross. Sonora Quest Laboratories is an integrated laboratory system servicing over 7,000 clients throughout Arizona including hospitals, physicians, and managed care organizations. We have approximately 2,700 employees statewide and perform over 75,000 diagnostic tests per day. Our comprehensive on-site test menu includes routine testing to more esoteric cytogenetic studies.